Order in the next 11 hours 23 minutes and your package will ship on Monday, April 22. For engraving, order in the next 10 hours 24 minutes and your package will ship on Monday, April 22. 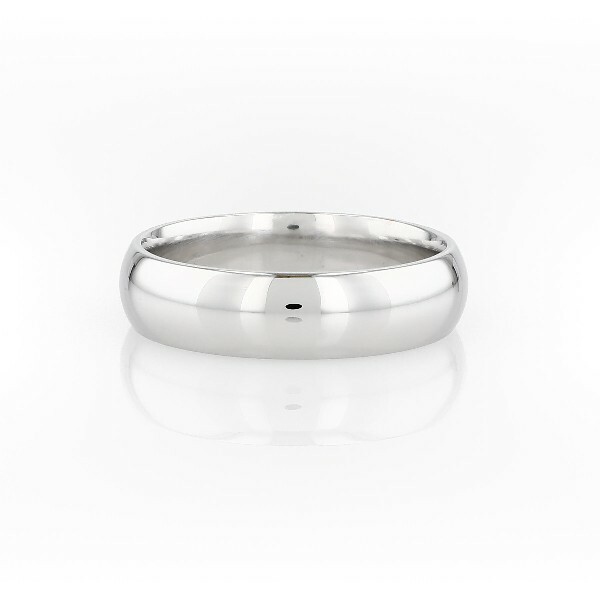 Make your promise with this high polish, comfort fit 14k white gold wedding ring. This classic style has a traditional higher dome profile and substantial weight. Its softly rounded, comfort-fit inner edges make this a ring you'll be happy to wear constantly.